It's official: as we reported in November, eBay is making a big change in how buyers pay for goods on its site, announcing on Wednesday that it has signed an agreement with Adyen to become its primary payments processing partner. This will result in a huge shift in how transactions are completed on eBay, though it does not exclude PayPal payments. 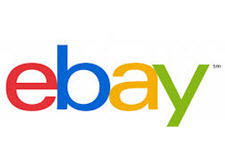 Currently on eBay, buyers send money to the seller, usually directly into the seller's PayPal account, where the seller has immediate access to the funds to pay their bills and buy more inventory. Beginning this year, eBay will start the process of inserting itself into the process - buyers will pay eBay, which will then disburse funds (less fees) to sellers. eBay CEO Devin Wenig told Wall Street analysts today, "in 2021, we expect to have transitioned a majority of our Marketplace customers to our new payments experience." Wenig said he believed eBay would be able to lower the cost of selling on the site as a result of the change. Certainly it will be a profitable move for eBay if its rival is any indication - Etsy has bragged to Wall Street analysts about the profitability of becoming a payments intermediary. That's backed up by what eBay Chief Financial Officer Scott Schenkel told Wall Street in November: becoming a payment intermediary would aggregate volume, so eBay would be able to get lower PayPal or other payment operator rates. 1) Sellers didn't like it when Etsy did it (some sellers are grandfathered in to being able to use their own PayPal account, but only if the buyer elects to pay them directly during checkout). 2) We wrote about eBay's plans to become a payments intermediary in November and there was immediate pushback from sellers, which you can read here. "If eBay wants to buy my entire inventory, warehouse it, sell it, ship it and deal with returns - then send me a bank deposit once a month - eBay can handle the financials," one EcommerceBytes reader wrote at the time. "Otherwise, it's my merchandise, my financial investment, my sales - MY business - and they can keep their greedy paws out." There's initial confusion about the announcement eBay made today. eBay is not excluding or replacing PayPal. But instead of a buyer paying into your PayPal account, the buyer will pay using eBay's PayPal account - or buyers could use other funding methods eBay makes available such as credit cards, which could impact PayPal volume. Again, look to the Etsy model to get a better understanding of the change. Buyers pay through Etsy Payments (formerly called Direct Checkout), and the buyer can choose to fund the payment through PayPal, a credit card, a bank transfer, etc. The fact that sellers must wait for eBay to disburse funds could impact their cash flow. eBay will set the disbursement schedule parameters - it could ban some sellers from frequent disbursements. It could also set minimum disbursement amounts. And as Etsy warns its sellers: "Depending on your bank, funds may take 3 to 5 business days to appear in your bank account. If a deposit day falls on a holiday, available funds will be sent on the next business day." Given frequent complaints about eBay billing issues and about poor customer service, sellers have reason to be concerned about eBay coming between them and their customers (and between them and their money!). One possible benefit: buyers are bound to have more choice around funding method, and will be able to whip out a credit card knowing it won't be seen by the seller or PayPal, only by eBay. What's unclear to us is whether that could affect the rate of chargebacks and sellers' success to fighting them. Read eBay's full announcement here and tell us what you think. If the change boosts sales by increasing buyer trust; and, if the change reduced the total costs of selling on eBay (inclusive of payment processing fees) - would those benefits make it palatable? I was just going to send this to you! Looks like Paypal rein is over! PS: Paypal stock hit an all time high today! ~ Let's see how the market reacts to this news tomorrow! I'd rather trust Paypal than eBay with my credit card, but if anybody can whip one out rather than sign up with Paypal that is HUGE. Looks like it might just be time for this small-time seller to close up shop. Getting my money almost immediately has always been very important to me. With this move, in addition to many others, eBay is almost totally taking over my business, but I have to do all the work and bear all the risks. If I find it to be the horror show I'm expecting, I will exit eBay. BTW, eBay is limited as to the timing. Up to 5% in 2018, up to 10% in 2019, and the original 5-year operating agreement with PayPal ends in July 2020. It won't be eBay suddenly pushing a switch to turn this on this year, but of course there could be disruptions as it rolls out the technology and brings even a small amount of users into the process. Nobody has had to have a PayPal account to buy for years. PayPal has only been the processor for credit card transactions. The real reason they're pushing this is to remove seller access to e-mails. If eBay stopped manipulating search, some of us wouldn't be looking for ways to boost sales on the side. Dummy's line about being cheaper to sell on eBay is a lie because the average seller won't see fees drop a single cent. All of any discount will go to the Chinese as usual. Honestly, I was looking to get out as soon as I made enough to replenish what I borrowed from other accounts during lean times on eBay. Figured it would take about a year. Now they've stepped up my timetable by six months. Everybody keeps saying how great the economy is but all I see is the walls continuing to close in. I think there is class action here, eBay will be crossing a line by being the bank. I become an employee just like the uber case. Will eBay just put the money into my paypal account? I use paypal working capitol for times when cashflow problems arise. The amount I can access is dependent upon the amount flowing through Paypal. I currently have 5% of my listings returned, most from buyer remorse or buyer not reading the description. Money is deducted from my paypal or frozen until resolved. If the buyer does not send the item back after filing it is 6 weeks before my money comes back. This is a dicey move. This move is to reduce and eliminate some support staff and maybe a lot of support staff. and are they going to charge me 3% of the of the sale like paypal? Things have been looking up for me. next there going to be taking bitcoin. Remember the axiom when Ebay says it is doing something to improve the seller experience it means Ebay has found a new way to increase their "rake" and it has nothing to do with helping sellers. Come on Ebay, this one is just too too much!!! I can't threaten to quit selling one Ebay. I did that two years ago. Yep, It's official, the final nail in my selling on eBay coffin! Paypal was the only reliable part OF my eBay business. I'm just sick about it! Day after day, year after year of eBay glitches negatively impacting my business and I'm to have a shred of hope that eBay handling the money is going to work? This is a sad day for many of us. Ahhh, It's about time! I am glad you complainers are going to close your shops! Less competition! I have always LOVED how Amazon gives me my share up front, after they take their fees, and does not give me a big invoice later on like ebay has been doing it. If this works like Amazon, I'll be a happy camper. If eBay wants to be PAID instead of the seller, then let them pay the taxes on all sales. If they are the merchant of record by accepting the funds then they should be on the hook for it all. Conversely if they do get involved in the tax issue - how would any seller know if what they get is right??? We can only hope someone comes along to challenge eBay, or at least to take up the slack when eBay losses many of it's sellers, including me. Instead of "Etsy Direct Checkout" it will be "eBay Direct Checkout". Plain and simple, it's a money-grab by eBay. They get the fees for processing the payments instead of PP. The only reason they haven't done it before now is because of the contract that they had when they spun off PP. I'm not opposed to them making more money. After all, we're ALL in this to increase our incomes. I just hope they don't screw this up like they have done with so many other *ahem* "great ideas". I use my paypal funds to make stock purchases and to pay all the shipping for many of my other venues as well. Paypal will even loan me money based on the sales. I seriously doubt ebay would lower any costs. Etsy even keeps some of the money on a cancellation so I am sure ebay would do the same. Bonanza had a payment account but seems to have eliminated it now. I hope it doesn't work out for ebay either. Walmart is really slow with payments, as much as a full week late several times no reason to believe ebay will run its payments any better as they have less concern for the seller than anyone. I am not happy about this at all. I don't have a cash flow problem so I have no idea how this will impact my business, I'm sure I'll live through it. The problem is that every time eBay comes up with a new way to "help" sellers, I'm reminded of the joke with the punchline... "We're from the IRS, we're here to help you". I think RKTOYS has it right. eBay is so paranoid that a seller will take a sale off-site, they think that by controlling all aspects of a sale they won't lose any fees. "To enable payments in their eBay accounts, sellers should expect to provide eBay with some additional payments-related data and transition to a new relationship with eBay that includes integrated payments capabilities. "Sellers will be required to complete these steps in order to continue selling on eBay, and it is anticipated that this transition for sellers will occur no later than one year after the expiration of eBay’s Operating Agreement with PayPal, i.e., by July 2021." This sounds like what sent Etsy sellers into a panic, sending personal and financial information to continue to sell on the site. I'd also like to know if eBay Payments will drop the insane six-month time limit to file INR and SNAD claims. What about protecting the sellers concerning scamming buyers? And will a seller ever know if a claim is found in favor of the buyer? Or will eBay keep everything confidential and just send the sellers money without any explanation of what it's for? As sleazy as PayPal is, I would think sending money through eBay would be worse. I don't ship until I get my payment, so it looks like my eBay days are over... which is fine. The only thing I've been able to get to sell on eBay lately are coupons. Really.... coupons!!! The rest of the stuff I sell is on alternate venues, and I continue to get PayPal payments from there. Again... no big loss for me to lose eBay as a selling venue. Doesn't make any difference to me - ebay has long since fallen off my radar as an income generator...I'm always shocked when something sells there, so $ in or not and when I don't suspect I'll much notice. Hmmm, a masked man with a gun in a dark alley or Ebay. Think I will stick with the masked man.